Wighill Park Guns | Products | MTM Site-In, Clean, Rest & Case. MTM Site-In, Clean, Rest & Case. The case is the perfect accessory to help care for guns whilst also being a rest to actually zero the rifle in. Keeping everything neat and tidy in one place which you can carry to where you are going shooting or to the local club house. 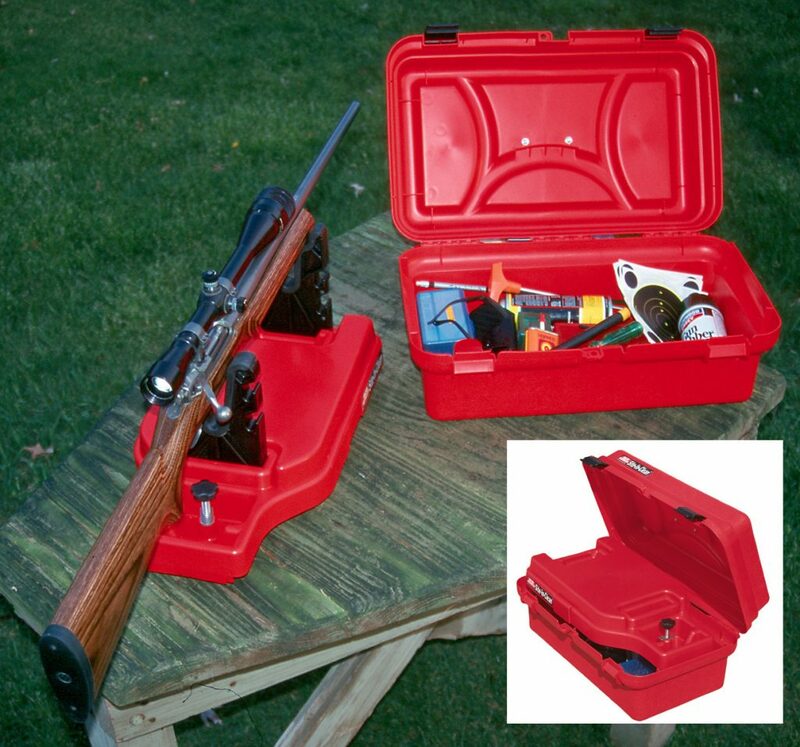 Great range case for sighting in rifles, muzzleloaders and shotguns. The case is designed to hold the rifle rest in the top. With room for shooting accessories below. Rubber moulded, padded forks are adjustable. Held in place by using two of four slots located in the base of rest. Rear adjustment knob allows for precise horizontal positioning. The gun grips in the holder for quick and easy shooting or cleaning. This sturdy rest will give the shooter a solid platform to fire from. Very practical and a very useful piece of equipment.